Legend has it that if you're not spotted wearing green on St. Patrick's Day, the pesky leprechaun will be out to pinch you. 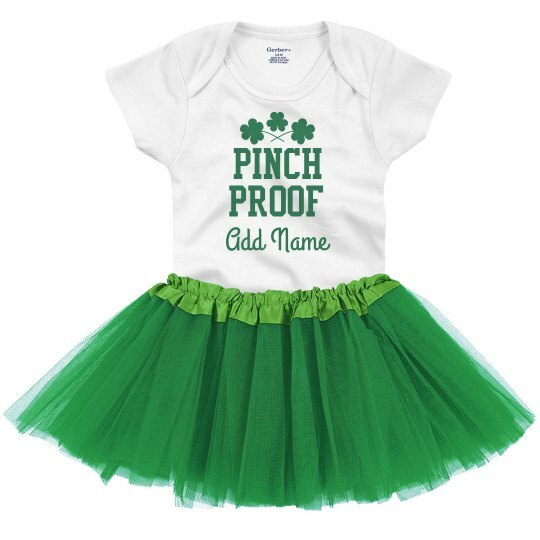 Make sure your little one is pinch proof ready by customizing this tutu onesie. It's definitely cute and, even better, it will protect her from the leprechauns.